Thomas M. Messner, J.D., Michael J. New, Ph.D. | March 23, 2016. It’s hard to believe the Obama Administration is still fighting the nuns over abortion and contraception. The Little Sisters of the Poor object on religious grounds to the government hijacking their health insurance plan to provide contraceptives including some that can cause abortions. They’ve filed a lawsuit and today the Supreme Court heard oral arguments in the case. That comes to $70 million in fines per year. Or roughly one-third of the Little Sisters’ operating budget. The government has already created a full exemption for churches but won’t extend the same protection to the Little Sisters. What’s more, the government could provide the objectionable items free of charge through the Obamacare health care exchanges or another mechanism. All this looks pretty bad for the Obama administration. On top of everything else, it turns out that contraception mandates don’t work. Dr. New is a smart guy. He has a Ph.D. in Statistics from Stanford University and a B.A. in Economics Modified with Mathematics from Dartmouth College. He has served as a post-doctoral fellow at the Harvard-MIT data center and, on top of serving as an Associate Scholar at the Charlotte Lozier Institute, also serves as a Fellow with the Witherspoon Institute in Princeton, New Jersey. Dr. New looked at state-level contraception mandates and asked whether they had reduced rates of unintended pregnancy. Dr. New’s methodology and findings were published in his 2015 academic article titled Analyzing the Impact of State Level Contraception Mandates on Public Health Outcomes. After analyzing these data Dr. New made three findings. First, in comparing public health outcomes in states with contraceptive mandates to public health outcomes in states that did not have mandates, regression analysis conducted by Dr. New showed that the presence of a contraceptive mandate failed to have a statistically significant impact on either the state unintended pregnancy rate or the state abortion rate. Second, in comparing public health metrics both before and after the contraceptive mandate took effect, regression analysis conducted by Dr. New showed once again that the enactment of a contraceptive mandate failed to result in a statistically significant reduction in either the unintended pregnancy rate or the abortion rate. Third, Dr. New conducted specific analysis of five states that had a stronger contraception mandate than the others and found that the enactment of these stronger mandates failed to result in statistically significant reductions in either abortion rates or unintended pregnancy rates. Additionally, Dr. New found no evidence that these stronger mandates had a greater impact on either unintended pregnancy rates or abortion rates than the weaker contraceptive mandates. 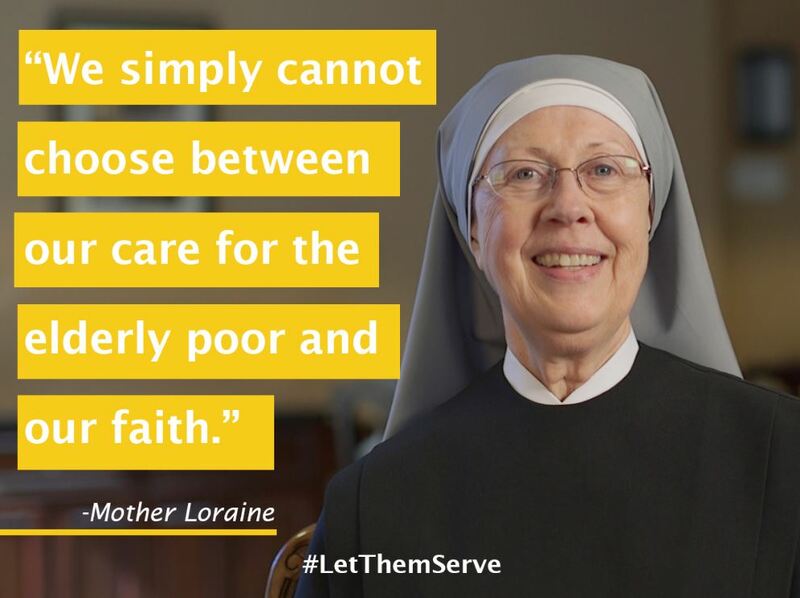 The Supreme Court should protect religious freedom and free the Little Sisters to serve the poor and vulnerable people who count on them. Thomas M. Messner, J.D. 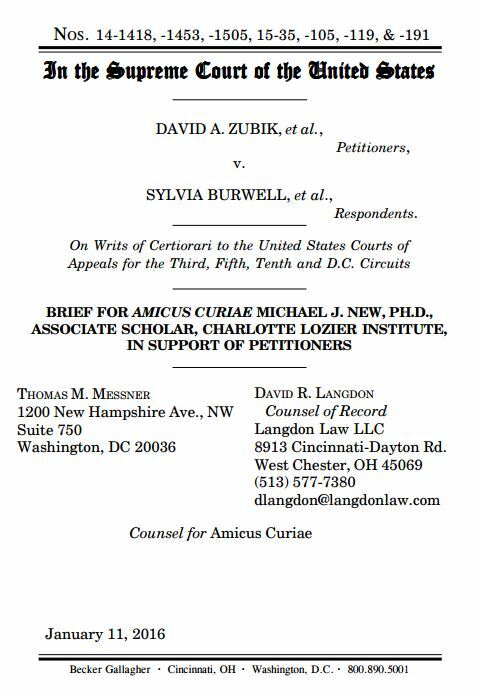 is Senior Fellow in Legal Policy at the Charlotte Lozier Institute, the education and research arm of Susan B. Anthony List in Washington, D.C.